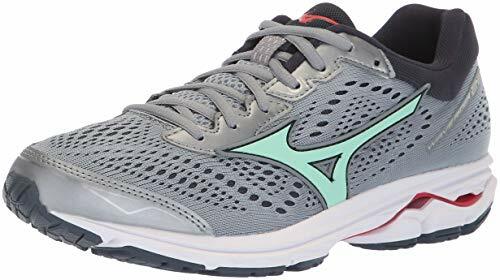 Whether you need a pair of shoes for cross country practice or an all-purpose pair to handle practice and meets, it’s important to find the right running shoes that will give you traction on the grass and dirt without bogging you down with heavy shoes. Cross-country runners will experience terrains ranging from pavement to rocky trails; proper shoes are essential in helping to prevent unnecessary injuries and meet your goals. 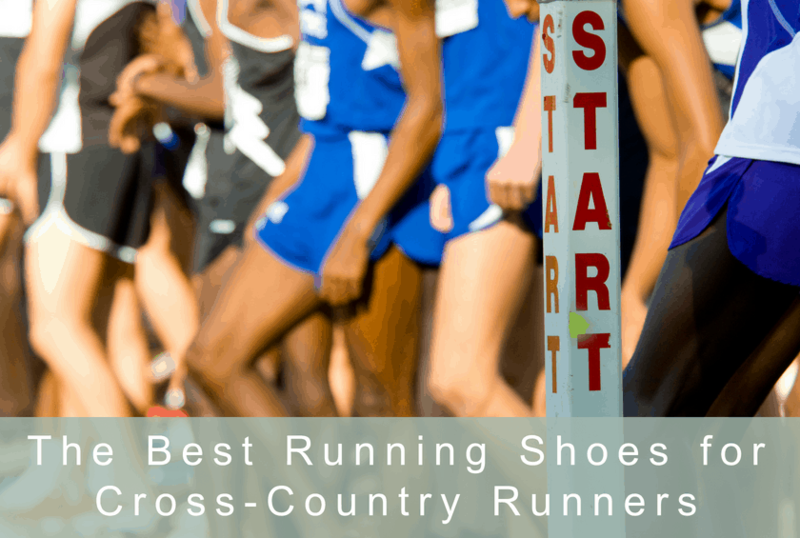 Out top ten list below covers the best shoes cross-country runners. All of these shoes are either road shoes ideal for cross-country athletes – or trail shoes for runners who want the comfort of a trainer with the traction of a XC spike. We recommend choosing a road shoe unless you are certain the majority of your runs will be on grass and trail. And if you are looking for the best cross-country spikes for your meets, check out this article with our favorites. The Ghost 11 is a neutral shoe with great cushioning and support. It’s a well-rounded shoes that works for many runners – part of the reason why it’s one of the top selling running shoes on the market. We like it for XC runners because it has surprising good traction on trail for a road shoe. The nice cushioning does well to soften the blow of trail obstacles likes rocks and roots. BioMoGo DNA midsole cushioning adapts to your feet and allows you to run mile after mile with the same spring in your step as when you first hit the road. The Brooks Ghost 11 offers runners a smooth ride. Designed to adapt with each strike of the road, you’ll see the segmented crash pad utilizes a caterpillar shape. The independent yet fully integrated shock absorbers to work together to provide maximum efficiency of every foot-fall. 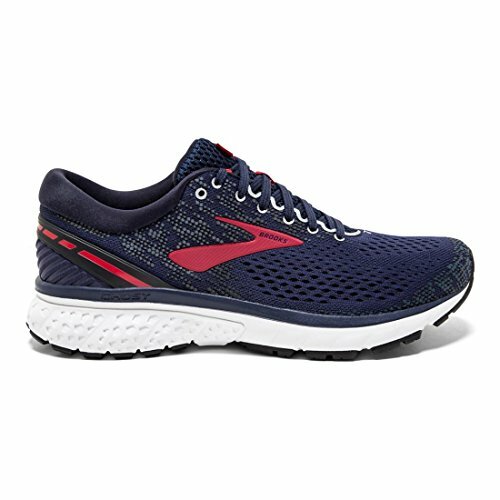 The smooth ride, plush cushioning, and flexible fit make the Brooks Ghost 11 an optimal shoe for runners of all levels. It’s no surprise that the Ghost 10 was awarded the “International Editor’s Choice” by Runner’s World. The Launch 6 is a neutral shoe that’s lightest with incredible responsiveness, making for a zingy ride. The Launch can be considered the little sibling to the Ghost. It’s not as cushioned, but is much lighter and has a springy energy responsive that almost propels you forward as you run. And like the Ghost, it has nice traction for running and trails and grass. Designed to be lightweight and breathable, the Launch 6 has a just right type of feel as it offers runners a one-piece mesh upper for a clean feel and sleek look. Adding to the comfortable feel of the Launch 6 is the cushioned collar and tongue. 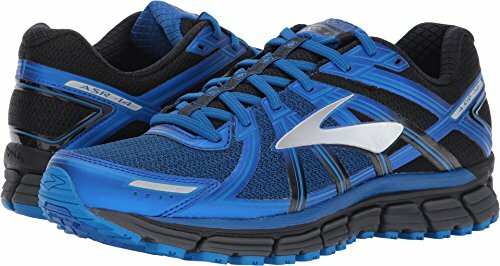 Priced at around $100, the Brooks Launch 6 is one of the best values on the market. Like the Launch 5, the Ravenna 9 is a lightweight, responsive running shoe. It’s designed to be springy and to propel you forward – but the Ravenna has some light stability for mild overpronators. And like the other shoes we’ve reviewed in the Brooks lineup, the Ravenna 9 has good traction on the outer sole to excel at both trail and road. The Ravenna 9 has added stability from a diagonal rollbar built into the midsole. The rollbar combines with midfoot cushioning for a smooth and fast heel-to-toe transition. The lightweight mesh upper of the Ravenna 9 allows for plenty of breathability on those long runs. The design also offers a reflective saddle which adds a nice safety feature for those nighttime and early morning runs. 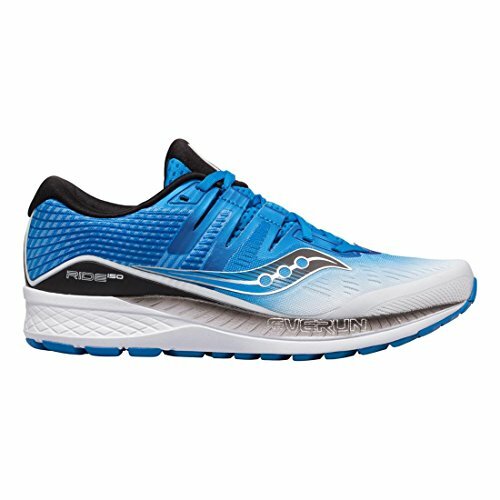 The Saucony Ride ISO is a neutral running shoe that finds the perfect balance between cushioning and responsiveness. The ISOFIT and FORMFIT features provide runners with a cutomsized fit. ISOFIT is Saucony’s lacing system that securely cradles the foot without any tightness or pinching. It’s made up of ribs that wrap around the soft, padded tongue – combined this provides an extremely comfortable, almost sock-like feel. The PWRFOAM midsole provide wearers of the Ride ISO structurd support while absorbing impact and providing energy return. Added EVERUN foam in the midsole stays consistently cushioned in extreme temperature swings and is more durable than traditional EVA foam. The FORMFIT – new for Saucony – is a contoured midsole with a foot shape that provides nice arch support. This is currently the only show on the market to design the midsole in this manner. Every other shoe has a flat fit and uses the removable insert to provide arch support. 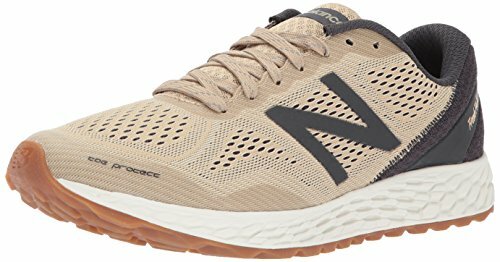 The New Balance Zante v4 is a neutral running shoe that provides cushioning along with nice ground feel. It is versatile enough that it can be worn for cross-country as well as longer road runs. 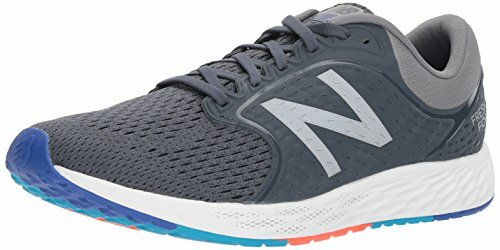 It is part of New Balance’s Fresh Foam line of shoes which incorporates a specialized foam that’s carved from one piece of foam into the midsole for a unique ride (compared to most shoes which are glued together in layers). Designed to offer a comfortable feel and zippy ride, the Zante v4 has a HypoSkin upper which allows for foot flexibility and natural movement. It has breathable mesh for increased airflow and a padded tongue. The outsole is a solid piece of blown rubber featuring hexagonally shaped lugs. While lightweight, the outsole of the Zante v4 felt a tad stiff. The Asics GT-2000 6 Trail is a hybrid shoe for neutral to overpronators made for on or off-road. Asics GT-2000 line of shoes is known for its high-mileage durability, and the GT-2000 6 Trail is no exception. In fact, the GT-2000 and the GT-2000 Trail are nearly identical except the Trail version has a more robust outer sole for better grip and traction on dirt. Technology abounds in the midsole of the GT-2000 6 Trail. Incorporated into the midsole are FLYTEFOAM and the GUIDANCE LINE. 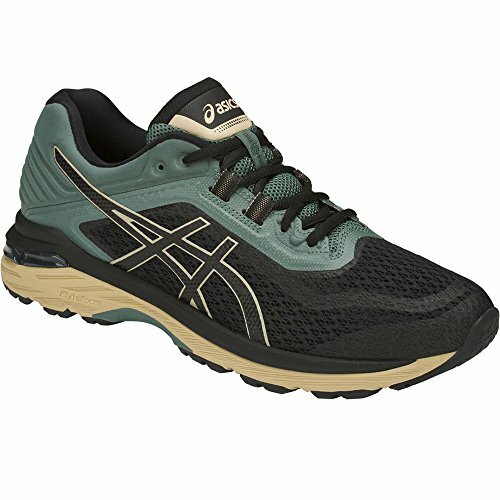 These give the Asics GT-2000 6 Trail its responsiveness, light weight feel, and stability. Sporting rear and forefoot GEL cushioning the GT-2000 6 Trail disperses shock during both impact and toe-off. This design allows for a natural movement of the foot through the gait cycle. The Mizuno Wave Rider 22 is a cult favorite for many runners. It’s feather light and very responsive – but has enough cushioning to protect your feet against road the trail. The Wave Rider 22 boasts a plastic waveplate that provides shock reduction, durability, and a smooth cushioned ride. The addition of the layered EVA foam midsole ensures that wearers will have a superior underfoot feel. A responsive shoe, the Mizuno Wave Rider 22 offers a firm and quick ride, great for short to moderate distances. Mainly constructed of a breathable mesh upper, the Wave Rider 22 keeps your foot snug while letting it breath. 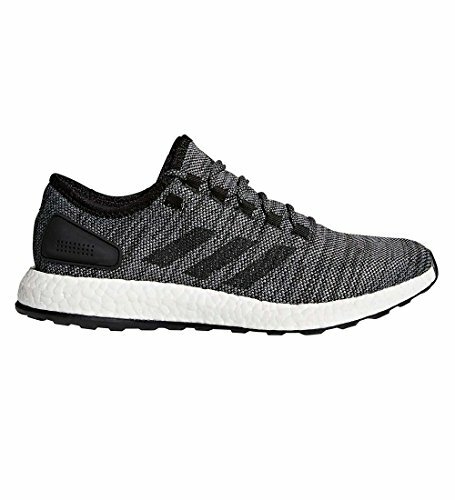 The Adidas Pureboost is a neutral running shoe that excels on the road but also works well on trails. Comfortable and fast the Pureboost is designed with the optimal workout experience in mind. Designed to mold to the foot, the outsole of the Pureboost is composed of EVA rubber. The outsole utilizes Stretchweb which provides more flexibility allowing greater energy throughout the run. Runners will experience an almost cloud-like experience from the cushion used to create the Adidas Pureboost midsole. The cushioning is made with Adidas’ Boost technology which provides for the optimal amount of energy return and responsiveness. The Achilles is supported by the Fitcounter molded heel. The Pureboost offers a more natural fit which enhances comfort for a smooth, energized ride. Sporting a one-piece knit upper, the Pureboost is designed to feel like a sock: snug but not too tight. This comfortable design also boasts a double-folded tongue and allows for plenty of breathability. The New Balance Fresh Foam Gobi Trail v2 is designed to go seamlessly from road to off-road. Its outsole has lugs that work well for both trail and road. The plush and natural ride of the Gobi Trail v2 is provided by the Fresh Foam midsole. Created from a single foam piece, this innovative technology offers a unique ride and creates less waste during manufacturing for a more environmentally-friendly shoe. The Fresh Foam Gobi Trail v2 also features a sewn-in gusseted tongue for midfoot protection and to keep out debris. A reinforced toe provides extra protection against rocks and roots. The Gobi Trail is also built on the same last as the New Balance 1080 – so if you are a fan of that shoe, you’ll like this one. The Brooks Adrenaline ASR 14 is a solid everyday trail shoe. The Adrenaline ASR 14 is very similar to the Adrenaline GTS 18 – so if you need extra support, this shoe will give you extra stability in a trail-friendly package. The outsole of the Adrenaline ASR 14 is composed of three materials: HPR Plus, blown rubber, and Flextra. HPR Plus is flexible and provides grip on most trail surfaces. The blown rubber is durable and provides extra cushion in the forefoot area. Flextra offers flexible, customized support. As with many in the Brooks lineup, the Adrenaline ASR 14 is equipped with a BioMoGo DNA midsole. This adaptive cushioning is springy and eco-friendly. The midsole also contains Brooks’ Progressive Diagonal Rollbar which allows for a smooth transition and added stability. The upper of the Adrenaline ASR 14 is constructed of breathable mesh and treated with a durable water repellant. The mid-foot saddle adjusts from both the heel and arch section which ensure a more secure and comfortable fit. The interior lining is soft with a plush tongue and collar.